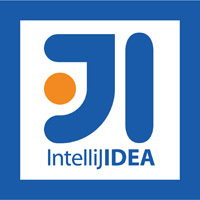 IntelliJ IDEA offer advanced support for the most important web frameworks and standards. What’s New in IntelliJ IDEA ? Completely revised approach to project compilation brings enhanced performance and better user experience through much faster incremental builds and lower memory requirements for the IDE. IntelliJ IDEA comes with a fresh look and feel and Darcula, a new native dark UI theme for IDE and the editor. Full IDE support added for the next generation of the Java platform, with code assistance for the new syntax, such as lambda expressions, method references and default methods. A big update of Spring Development Tools, with performance enhancements and code assistance for more Spring frameworks such as Web Flow, Integration, MVC, Security, Batch. Support for the latest Play 2.0 is added, with advanced code assistance, templates support, formatter, refactorings and many other features. Much faster project indexing and better responsiveness of the IDE as a whole. Full-featured UI Designer, one of the most requested features, is available now for building advanced layouts for Android mobile devices.